TME’s offer now includes KANTHAL® D resistance wires. They are used primarily for the manufacture of heaters for resistance furnaces, air heaters, dryers, ceramic heaters, resistors, preheaters or gas afterburners. The wires are available in sizes ranging from 17 to 31 SWG. All wires in our offer are sold on reels weighing 100 or 250g. 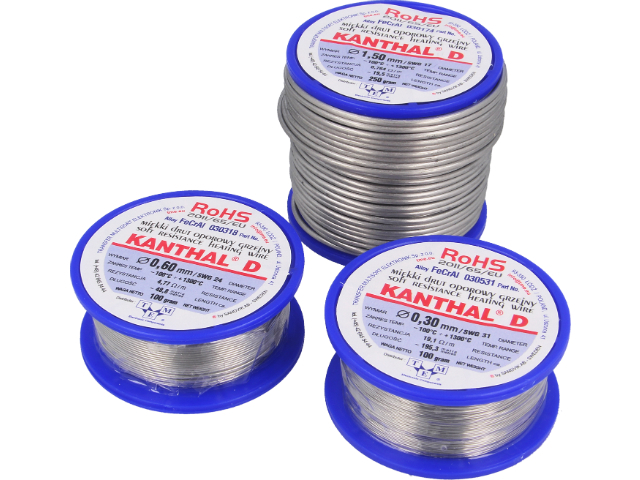 We encourage you to learn more about KANTHAL resistance wires in TME offer.